A few decades ago, it was believed that the biggest risk factor for gum (periodontal) disease was aging. Today we know that aging in itself doesn’t put you at risk for gum disease, and that other conditions may increase your susceptibility. Luckily, knowing the risk factors and being proactive can keep this disease away. Periodontal disease is an inflammatory infection of the gum tissue and bone surrounding the teeth. The first stage of gum disease, known as gingivitis, begins when toxins produced by the bacterial plaque on the teeth irritate the gum tissue, triggering inflammation and bleeding. If untreated, gingivitis progresses into the more serious form of periodontal disease called periodontitis. When bacterial plaque hardens into tartar and accumulates below the gum line and more plaque adheres to it, it can create pocketing between the gums and the teeth. Bacterial toxins trapped within these pockets eventually attack the bone and connective tissue supporting the teeth. Without proper treatment, periodontal disease can lead to tooth loss. Diabetes — This can limit a person’s ability to fight infections such as gum disease because of more volatile blood sugar levels. Being able to control it is critical to oral health. Certain medications — Some reduce saliva flow, causing dry mouth and keeping the bacteria on your gums and tongue from washing away. Illnesses such as HIV or cancer can negatively alter the health of your gums as well. Hormone changes in women — Hormonal fluctuations and pregnancy can cause an increased inflammatory response to bacterial plaque, causing your gums to bleed. During pregnancy, women are prone to “pregnancy gingivitis,” which, if left untreated, could develop into periodontitis. Smoking — If you’re a smoker, quit it! According to the National Institute of Dental and Craniofacial Research, cigarettes are a significant risk factor and can interfere with the successful treatment of periodontal disease. Heredity — Your family doesn’t just pass down good looks; they can also play a factor in gum disease, making some people more prone to gum disease than others. Red or swollen gums, or gums that have pulled away from your teeth. Tender or bleeding gums, especially when brushing and flossing. Bad taste in your mouth or bad breath that won’t go away. Loose teeth and painful chewing. Changes in the way your teeth come together when you bite. Changes in the way your dentures or partials are fitting. Prevention is the best medicine for periodontal disease. Good oral hygiene, by thoroughly brushing your teeth twice a day and flossing between your teeth, is the ultimate defense in reducing the harmful bacteria that causes periodontal (gum) disease. See your dentist regularly for checkups and professional cleanings to remove any hard tartar that may have formed. 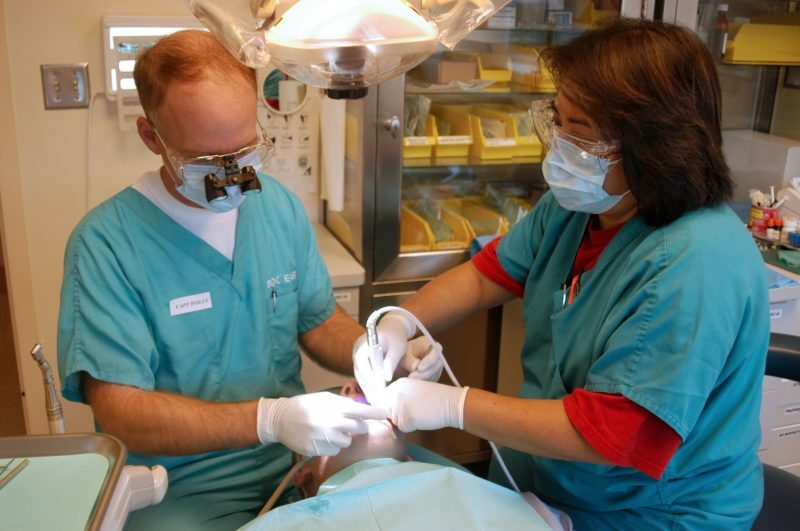 Ultimately, your dentist is a lifeline for reducing your vulnerability for gum disease. Talk to your dentist about any risks that concern you, and work as a team in putting together a good personal dental health plan. The disease may be easy to get, but it is also easy to prevent. Have any further questions about gum disease? Call Westermeier Martin Dental Care to schedule an appointment with your dentist 716-508-4547!